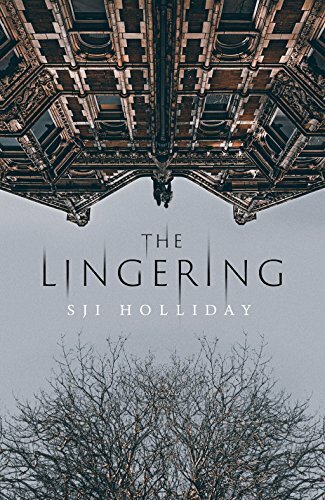 Recently I’ve read a couple of really good ghost stories and The Lingering by SJI Holliday I think has to be the best. I was so excited to pick up a proof at the Theakston Crime Festival in Harrogate, and I wasted no time in starting it. Dark, unsettling and so, so creepy; this book and the characters within the pages will stay with you long after you have finished reading. What I love about SJI Holliday’s writing is how she cleverly manages to weave a tale and take it in a completely unexpected direction and especially her character development is brilliant. She is a writer who is very good at her twists, and her plotting is superb. I’ve previously read and enjoyed her Banktoun trilogy so I had high hopes for her latest book and I was captivated from the first page. We meet married couple Jack and Ali who are starting a new chapter in their lives together when they decide to sell up their home and take up residence at a self-sufficient commune. I wanted to know what had drawn them to this particular place and why they would make such a huge decision and leave the comfort of home for something that is totally different to what they’re used to. The prologue in this book teases you as you immediately get a feeling that something dark and mysterious is brooding and it sets up the journey that Ali and Jack are about to embark on. You know you are in for a spine-chilling read. SJI Holliday weaves a crime element into her plot, and this was done to great effect. But I’m not going to talk any more about this here, you’ll have to read the book yourself to find out what happens. The atmosphere in the book is excellent, and it brings the commune and the surrounding countryside to life. If I ever see a building remotely similar to the commune whenever I’m driving around country lanes, I think I’ll be speeding up and keeping very clear. The Lingering is dark and atmospheric; it will linger in your mind and beware, it may give you nightmares. It is psychological suspense at its very best. The book is available to pre-order by clicking the link below. You really don’t want to miss it. Thanks so much for this amazing review, Jacob, I’m so glad you enjoyed this one so much!